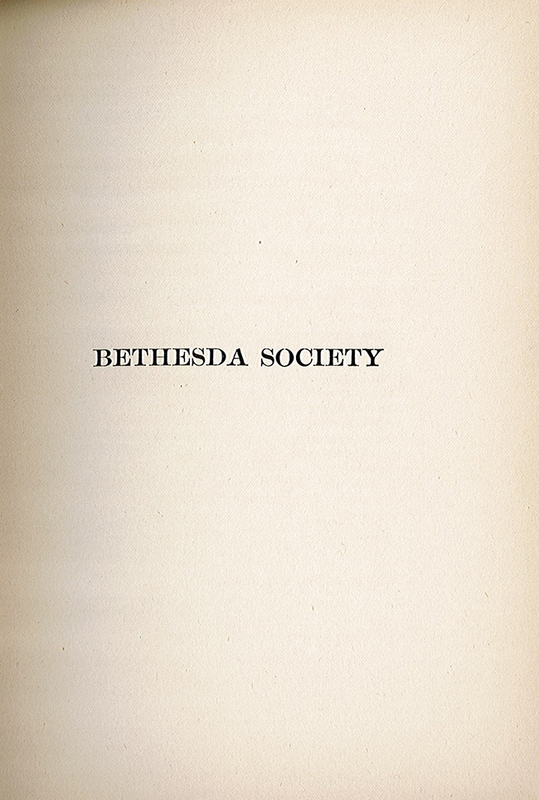 This document details information regarding the Refuge's and the Bethesda Society’s yearly financial expenses, donations, and membership, while also documenting the number of “refugees” under their care. 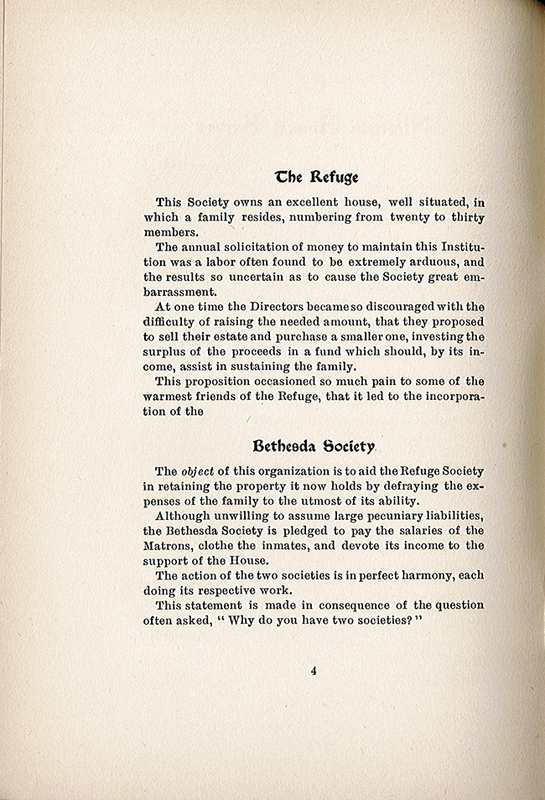 Additionally, this annual report and the annual report of 1912 (also available in the Image Portal), display the mission statements of the two societies and explain how, though being two separate organizations, their specific goals function in harmony with one another. 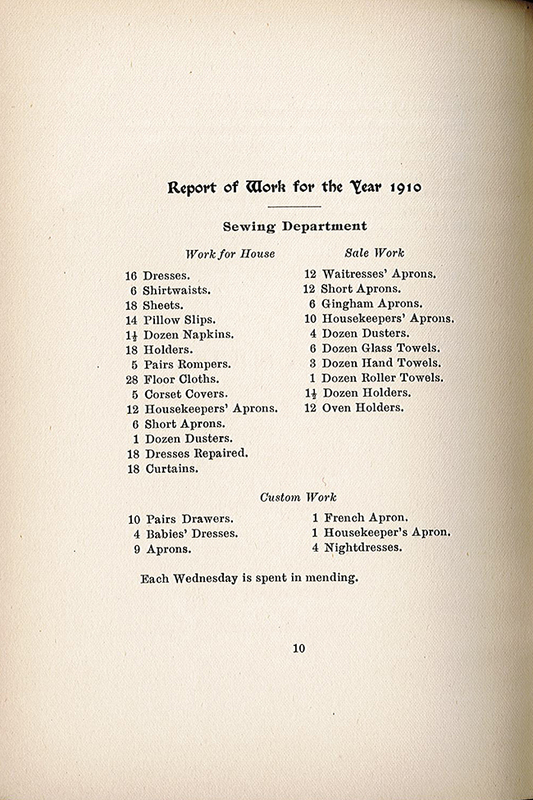 List of Donations and Report of Work (sewing) are included. 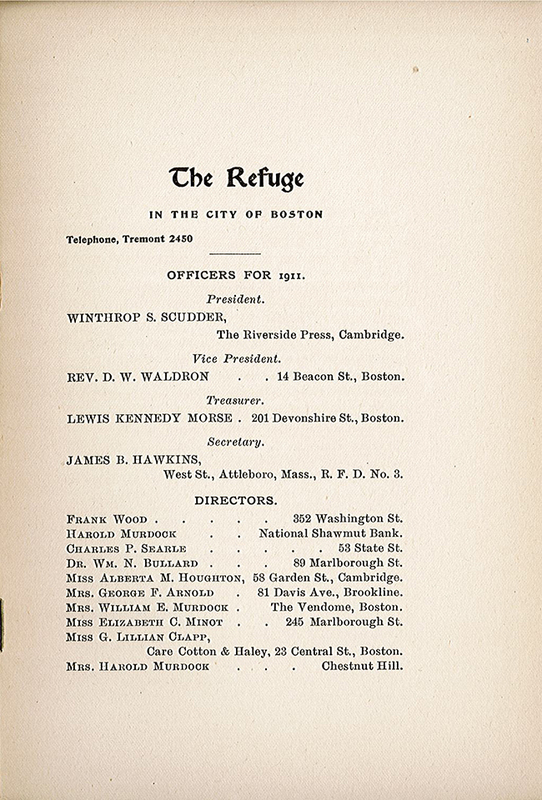 p. 2 "In our 'House of Mercy' we offer a 'Refuge' to those fallen women who desire to return to the paths of virtue. 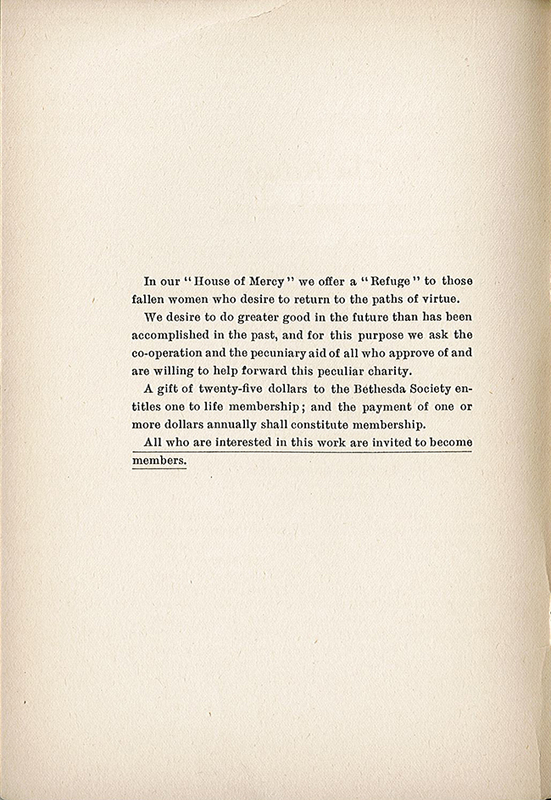 We desire to do greater good in the future than has been accomplished in the past, and for this purpose we ask the co-operation and the pecuniary aid of all who approve of and are willing to help forward this peculiar charity." 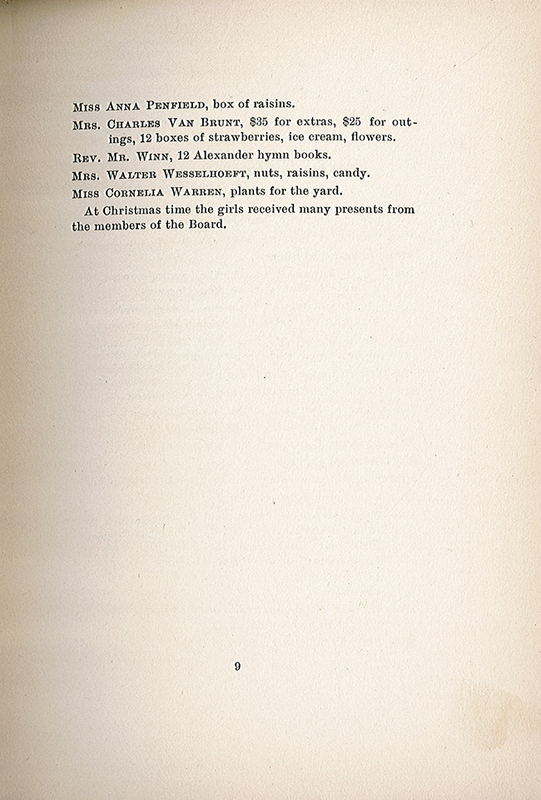 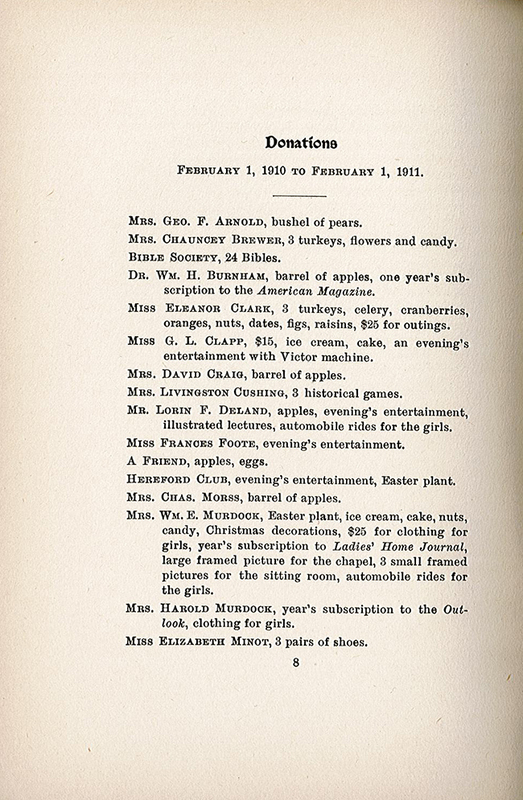 24 Bibles, barrel of apples, an evening's entertainment with Victor machine [phonograph], ice cream, year's subscriptions to Ladies' Home Journal, Outlook, and American Magazine, 12 boxes of strawberries, and many presents at Christmas time. 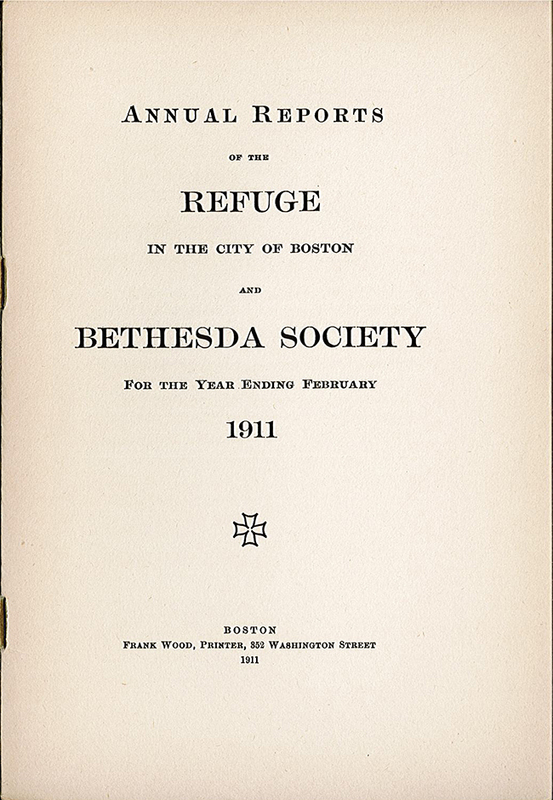 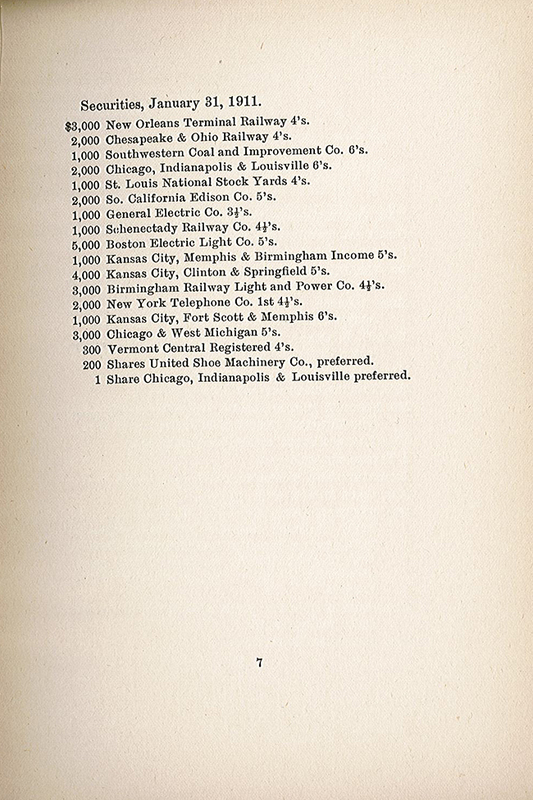 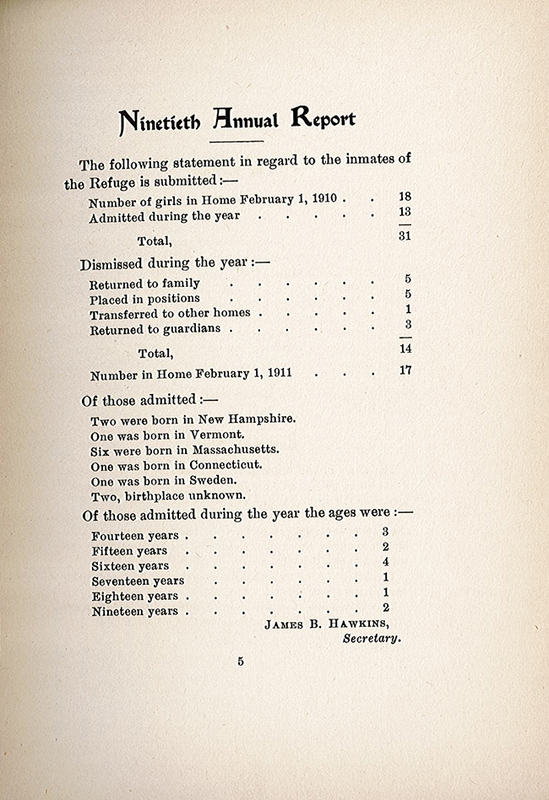 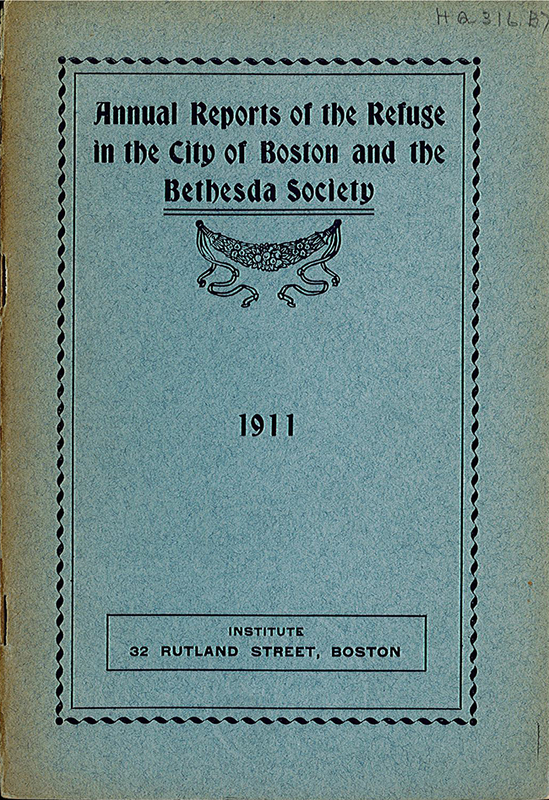 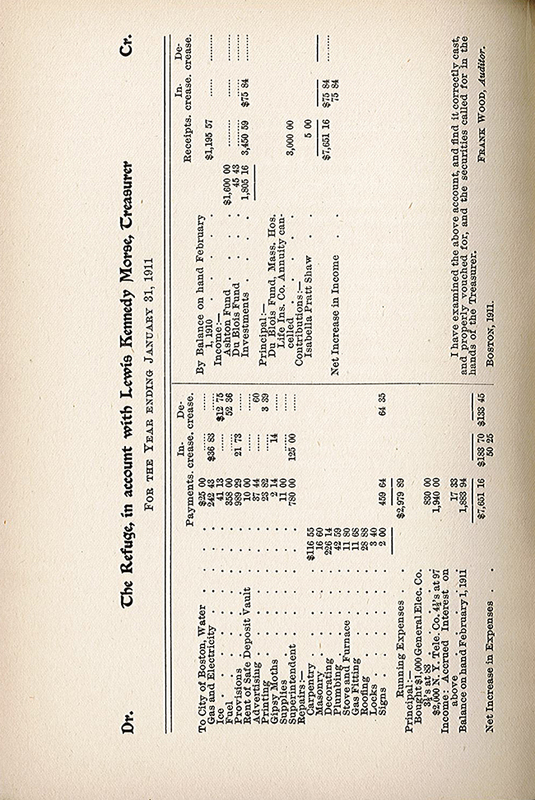 Refuge and Bethesda Society, “Annual Report of the Refuge in the City of Boston and the Bethesda Society for the Year Ending February 1911 [selected pages],” Social Welfare History Image Portal, accessed April 24, 2019, https://images.socialwelfare.library.vcu.edu/items/show/422.